New technological developments are fundamentally reshaping our industries and workplaces, and our own role in them. 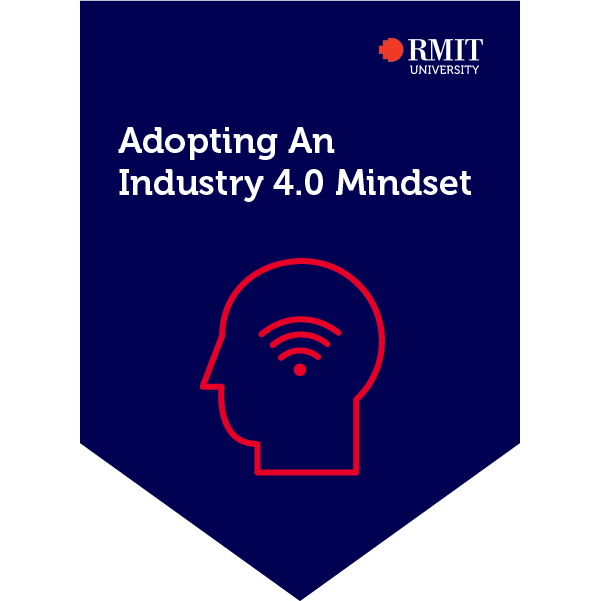 As part of this new age – ‘Industry 4.0’ – understanding what constitutes Industry 4.0, and its ramifications for the world of work, is critical to achieving success in the future. This course gives you an insight into the fourth industrial revolution: what it means, the associated benefits and risks, and how it will transform industry, workplaces, and work roles over the next decade. Get informed – and be ready for the next step in the transformation of global workplaces. By completing online activities and assessment, including a final assessment piece, the earner of this credential demonstrated an understanding of the aspects of ‘Industry 4.0’, including its principles, standards, benefits and risks, and can describe the features of flexible manufacturing.